Relax at nice spot and enjoy the pure nature, friendly local people, their custom and culture, local cuisine…. Fansipang, the highest peak in Indochina, is located in Lao Cai province of Northwest Vietnam. It takes great pride in the height of 3,143 meters. Fansipang is endowed with a variety of 2024 floral and 327 fauna species. Anyone who has a chance to stand on the top of Fansipang will never forget stunning views, wonderful nature and friendly residents around. Climb up Fansipang once to challenge yourselves at "the Roof of Indochina" and you will always dreaming of coming back to it! Picking up at Lao Cai train station in early morning, have breakfast then you will first sneak through the Sapa market and go downhill to Cat Cat village in just 2 minutes. You will stop by a waterfall, a hydroelectric station, walking along a dirt trail through rice paddy terraces. You also will enjoy spectacular scenery while walking along a narrow river before reaching Y Linh Ho village of Black Hmong minority, where you can take a rest while being served lunch nearby the river. 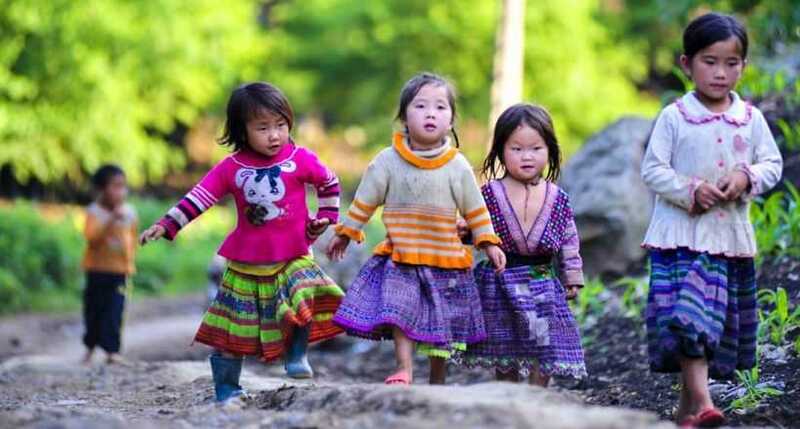 Afterwards, you head for Muong Hoa valley and pass through Lao Chai, a village of Black Hmong minority and Ta Van village of Giay minority before finally returning Sapa from Ta Van by car. You travel by car toward the Silver Waterfall then take a short walk to the waterfall. You will then drive to Heaven Gate, Vietnamese highest peak of roads and see Fansipan as well as enjoy stunning views. After 2 hours of hiking, you will have enjoy a good lunch at a nice spot in the forest. 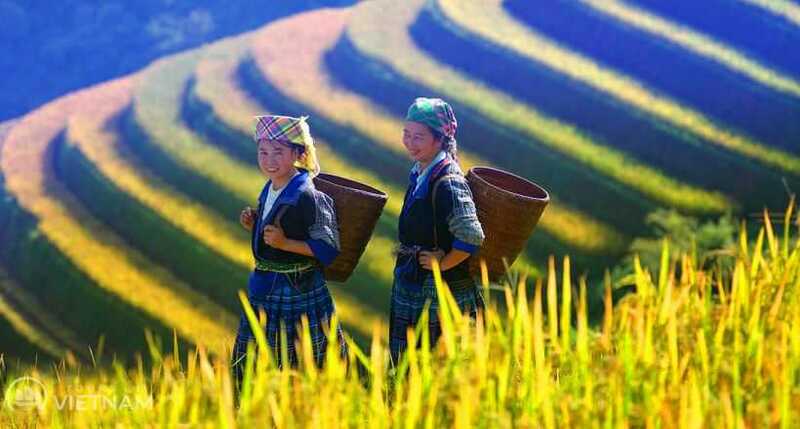 During the journey, you have many opportunities to enjoy the scenery and magnificent views to Sapa area and beautiful landscape of Lai Chau province. You will arrive in the campsite at 2800m ASL in the late afternoon to relax and enjoy a well prepared dinner. After having breakfast, you climb to the top, where you can celebrate your victory and enjoying the best view to beautiful sceneries. You will then start descending before having a short break on the way at a nice spot for lunch. After lunch, you start the tough trek through rainforest. This part requires a great concentration to step on steep trail until the campsite at 2200m ASL. Here you spend another night in tent. You will wake up in the fresh and pure morning in wild nature before trekking downhill through well-protected forest for around two hours of hiking, you stop for lunch. You will then continue descending toward Sin Chai village of Back Hmong minority while enjoying valley views and beautiful surrounding. After take a short break, at the village, you go by car back to Sapa, where you can celebrate your achievement and relax.End of tour services.